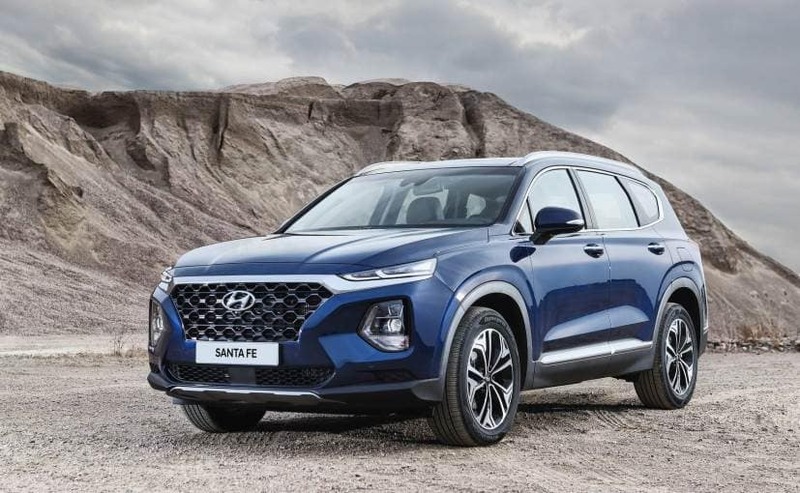 The new 2019 Hyundai Santa Fe now comes with a long-wheelbase seven-seater option christened Santa Fe XL. The company has dropped the Santa Fe Sport name and has also introduced a new 2.2-litre turbocharged diesel engine the belts out about 200 horses. 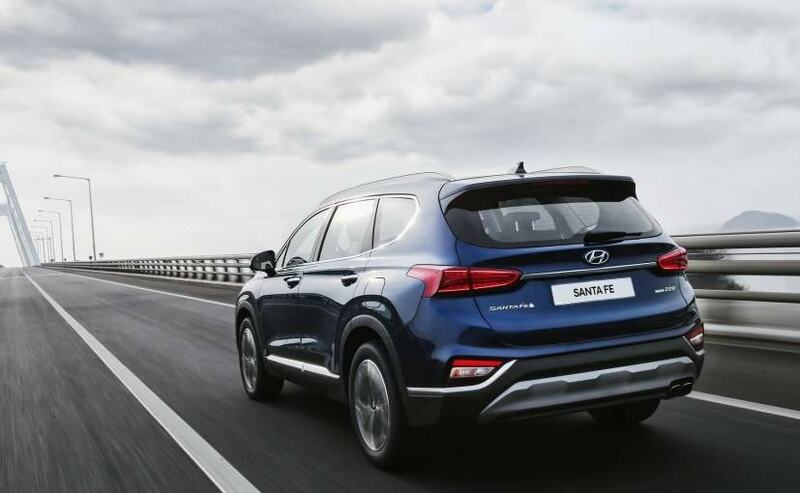 The new-gen Hyundai Santa Fe has officially made its global debut at the company's Motorstudio Goyang in Seoul, South Korea. The new-gen model now comes with a three-row, seven-seater option and a turbo-diesel engine as well along with a bolder exterior, premium interior, smart comfort and safety features and much more. While the new-gen Hyundai Santa Fe is set to go on sale in the US market in the summer of 2018, considering Honda is all set to launch the new-gen CR-V in the upcoming fiscal year, Hyundai might consider bringing it to India by the end of 2019. 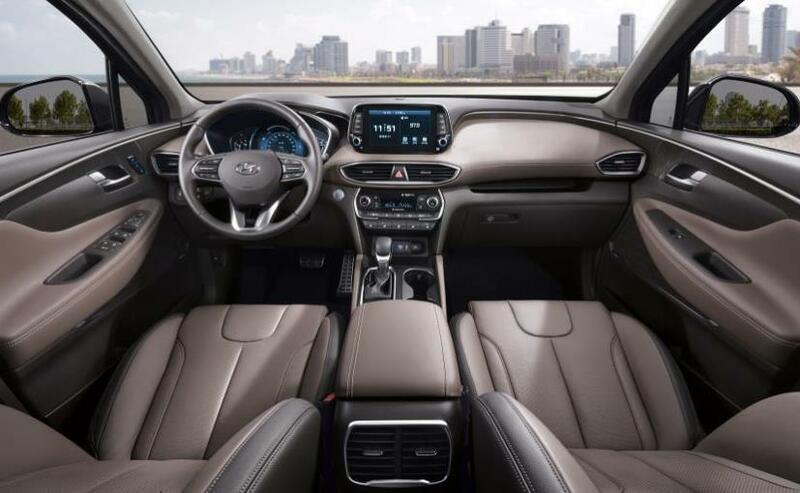 Hyundai says that the fourth-generation Hyundai Santa Fe comes with a family-oriented interior, loaded with practical cutting-edge technologies and bold exterior looks. 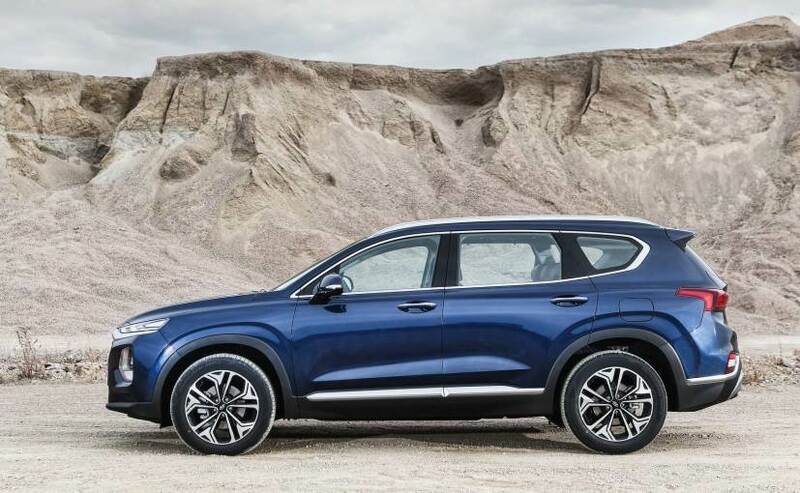 The company will be offering the 2019 model in both five-seater and seven-seater option, and the long-wheelbase version has been named as Santa Fe XL. The Santa Fe Sport named has been dropped now and the standard five-seater model will be called just Santa Fe. However, there is one small catch, the diesel engine is now only available with the seven-seater variant. The company is also developing a three-row, eight-seater version of the SUV, which will get an all-new name. 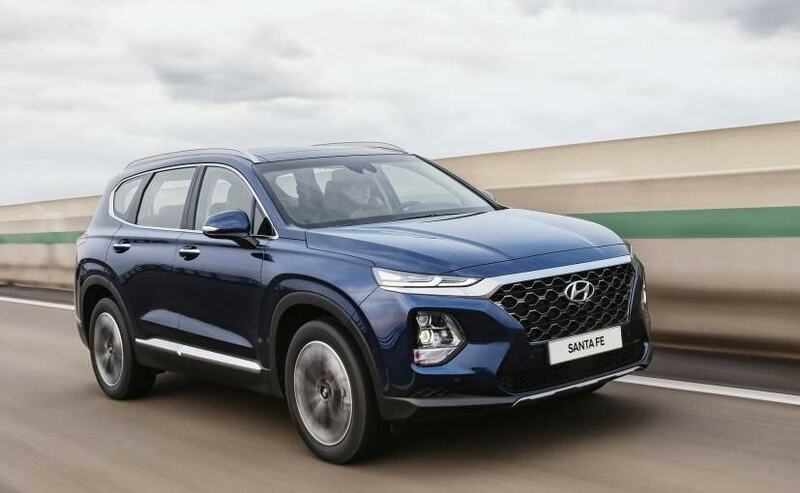 The 2019 Santa Fe now comes with the choice of three, four-cylinder engine options - the tried and tested 2.4-litre GDI and 2-litre turbocharged petrol engines along with the new 2.2-litre CRDi turbocharged diesel engine. While the former petrol engines offer an estimated power output of 185 bhp and 232 bhp respectively, the new diesel motor is capable of curing out about 200 bhp. All the engines will come mated to an 8-speed automatic torque converter as standard. Hyundai says that the gearbox is lighter and more efficient than the outgoing 6-speed unit. The company also offers its HTRAC All-Wheel-Drive (AWD) unit equipped with a multi-mode system that comes with driver-selectable Normal, Sport and Smart modes. The new Santa Fe has also grown in size with an overall length of about 4750 mm, a width of 1879, and an increased wheelbase of 2766 mm. Visually, the new Santa Fe has gained a lot of character with its bold design, broad shoulders and stylish exterior feature and design element. Up front, you have Hyundai's signature cascading grille with composite lightings like the Kona comprising LED daytime running lights positioned on top of the twin LED headlights as individual units. The profile looks much more muscular with strong character lines, flared wheel arches, a stylish set of alloy wheels and more. The SUV also gets a set of new sharper LED taillamps, a new tailgate and a new rear bumper with silver skid plate and twin chrome-tipped exhaust. The interior design combines premium quality with a horizontal and roomy layout and enhanced visibility. The centre stage on the new dashboard is taken by a new touchscreen infotainment system buttons and dials on either side, below we have the central air-con vents, and the automatic climate control other in-car controls and dials placed below it. 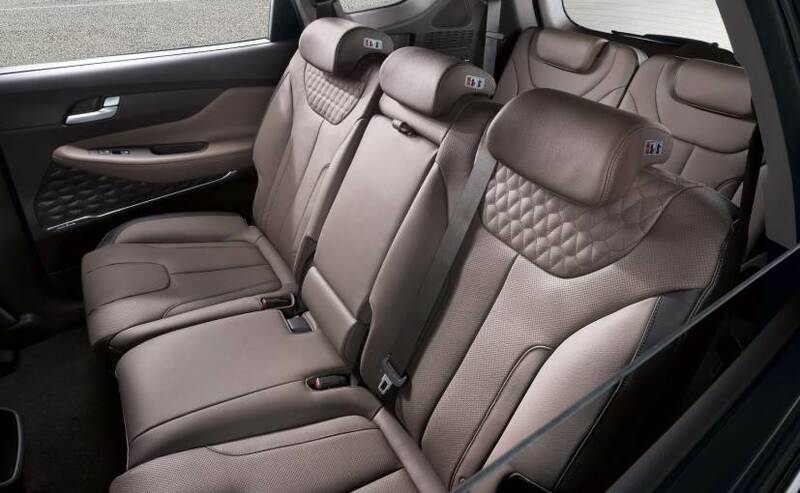 The interior appears to uses a lot of soft-touch material and leather, especially for the central and side armrests and upholstery. The SUV also gets a new three-part instrument cluster and a multi-functional steering wheel. The top-end trim gets a touchscreen display with Hyundai's latest AVN 5.0 navigation system, while the base level trim gets a standard 7-inch user interface and both are equipped with Android Auto and Apple CarPlay. There's also an available Qi wireless charging pad for compatible Android devices, as well as Apple iPhone 8 and iPhone X. There is also a Heads-Up Display (HUD) projects an 8.5-inch virtual image onto the windshield. The new Santa Fe is also high on safety with a bunch of smart features like - forward collision-avoidance assist, blind-spot collision warning, safe exit assist, lane keeping assist, driver attention warning, rear view monitor with parking guidance, rear cross-traffic collision-avoidance assist and much more.